At Memorial Hospital, we Care for You. If there is anything we can do to make your stay with us more comfortable, please let a staff member know. If you have questions about your medical care, please ask. Memorial Hospital’s patient rooms are private. Our staff will do everything to make you as comfortable as possible during your stay. However, you may prefer to bring your own pajamas, bathrobe, slippers, toothbrush/toothpaste, hairbrush/comb, shaving equipment, or items from home. If you wear eyeglasses, contacts, or dentures, please bring protective containers to keep these items from being misplaced or broken. You may keep these items in the drawer of the bedside table provided. Please do not bring any valuables to the hospital during your stay. Memorial Hospital cannot assume responsibility for valuables, such as large amounts of cash, a purse, a wallet, and jewelry. If it is unavoidable that you have these items in your possession, please notify your nurse. A channel guide is available. Internet access is available to patients and their visitors through the “MHS Public” wireless network. Your diet is a valuable part of your recovery. Your doctor will order a diet that best suits your needs while you are in the hospital, which will determine the type of food served to you. A registered dietitian is available to meet with patients regarding special diets and any other nutritional concerns. Patients are able to enjoy a variety of delicious and nutritious foods by choosing from the menu. Meals are served at 8 a.m., Noon, and 5:30 p.m. If a patient requests special food items not on the menus, Memorial Hospital’s Food and Nutritional Services staff will do their best to accommodate these requests. Staff is available from 6 a.m. to 6:30 p.m. for special requests. The following are extension numbers to reach dietary staff. 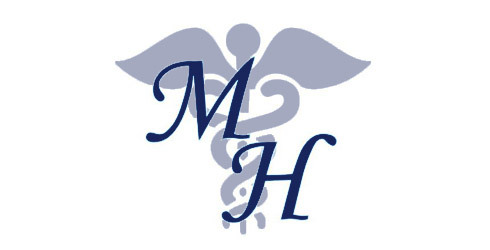 Memorial Hospital uses PROPIO Language Services to assist non-English speaking patients. This service provides over-the-phone interpreters, as well as document translation services. Memorial Hospital is a non-smoking public facility, in accordance with state law. Patients and visitors are asked not to smoke in the hospital or on hospital grounds. Patients who are smokers are asked to notify their nurse and/or doctor upon admission.